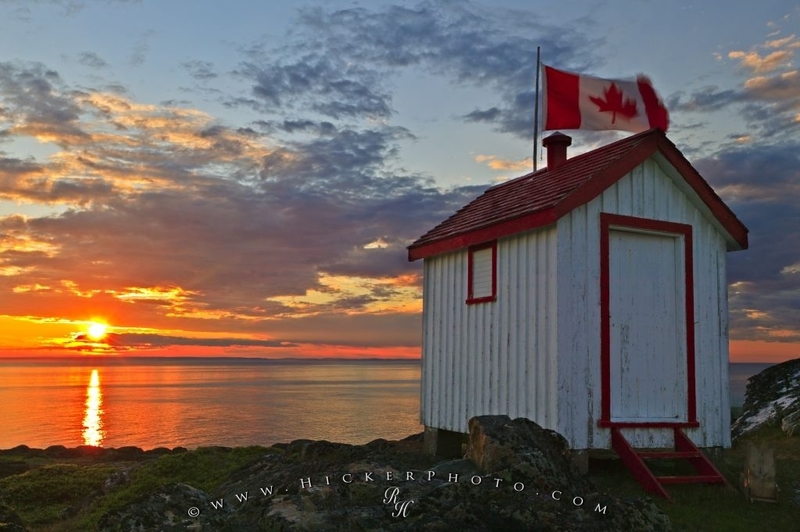 Stock Photo of a canadian Flag waving on an Outhouse with a View during sunset. The Outhouse is the best seat on the property because it overlooks the Strait of Belle which separates Newfoundland from Labrador. The canadian Flag is always shown with pride. Photo of a canadian Flag on an outhouse, looking over a beautiful sunset, newfoundland, Canada.